The Reconciliation of All Things: Look at all the fish! 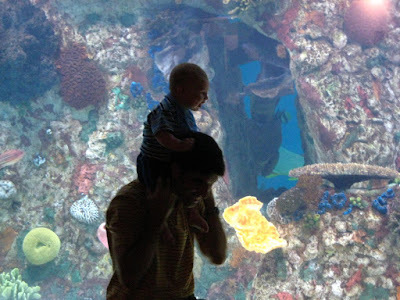 Caleb loves to visit our local zoo and especially loves watching the fish. He trys to reach out and grab them as they swim past.